Despite the attentions of collectors on the one hand and genealogists on the other, general interest in the history and appearance of Britain’s auxiliary forces of the Georgian and Napoleonic periods – militia, volunteers, yeomanry – remains low. There’s no prospect, for instance, of any Osprey titles in the area, simply because not enough would sell. And I have that from the horse’s mouth. What to do, then, with the files I’ve accumulated over the years on the dress and equipage of the militia, volunteers and yeomanry of the period from my chosen counties – Yorkshire, Staffordshire, Shropshire, Derbyshire, Lancashire, Warwickshire, Worcestershire, Cheshire, Gloucestershire? There’s still much to be done on these: many gaps remain and many sources, particularly archival, are still unexplored and likely to stay that way. But what I have so far may as well be aired and shared here in a more comprehensive form than the occasional mini post. So here’s a small start, with more to come, bit by bit. These pages certainly don’t claim to be the final word. If anything, they serve to demonstrate how little is known, especially about the more obscure and ephemeral units. But anything is better than nothing. And corrections and additions will always be welcome! Links here below, or up the top (drop down), or via the Pages menu at the right. As the Supplementary Militia legislation of 1796 created new swathes of levies to reinforce the existing battalions, counties were obliged to clothe and equip them for training, and in the beginning this was done on the cheapest possible basis. Lord Lieutenants were authorised by government to provide a “slight clothing”, the cost not to exceed £1 5s 9d per man. If they couldn’t be bothered to organise this from scratch, suitable outfits could be ordered from the clothiers of the existing embodied militia regiments and the accounts passed to the War Office. As the going rate for a militia private’s “suit” (coat, waistcoat and breeches only) was several shillings in excess of this allowance, it was clear that corners would have to be cut. Something on the lines of the simple outfits authorised the same year for regular recruits – a closed jacket, trousers and a round hat – might fit the budget. Conveniently, clothier Thomas Saunders priced this outfit at £1 5s 9d, the exact limit authorised. However, the archive contains a second version of this bill, Lord Clive’s private copy, which reveals that he paid Saunders a shilling less than this per suit, but then claimed the full allowance from the War Office. The great British tradition of a small rake-off for the militia colonel netted his Lordship a tidy profit of £77 10s on this transaction – about £8,500 in today’s money. The image here is my rough attempt at a reconstruction of this outfit. I’m assuming that a “round jacket” involved no skirts, that the leather caps were the basic undress or light infantry type, and that a white feather, undyed, would have been the cheapest option. As for accoutrements, the Ordnance supplied tan leather sets for all. While regulars were supplied with buff leather straps and slings, the allowance for the militia stretched only to the cheaper tan, but militia colonels often declined these, stumping up the extra for buff sets from their own pocket – or, more accurately, out of the profits made on their clothing accounts, as exampled here. But the supplementary militia had to make do with tan. To relieve the “unmilitary” appearance of tan belts, colonels sometimes resorted to blacking them. When drafts of supplementary men were incorporated into the main militia regiments, they were re-clothed to match and re-accoutred with buff belts. 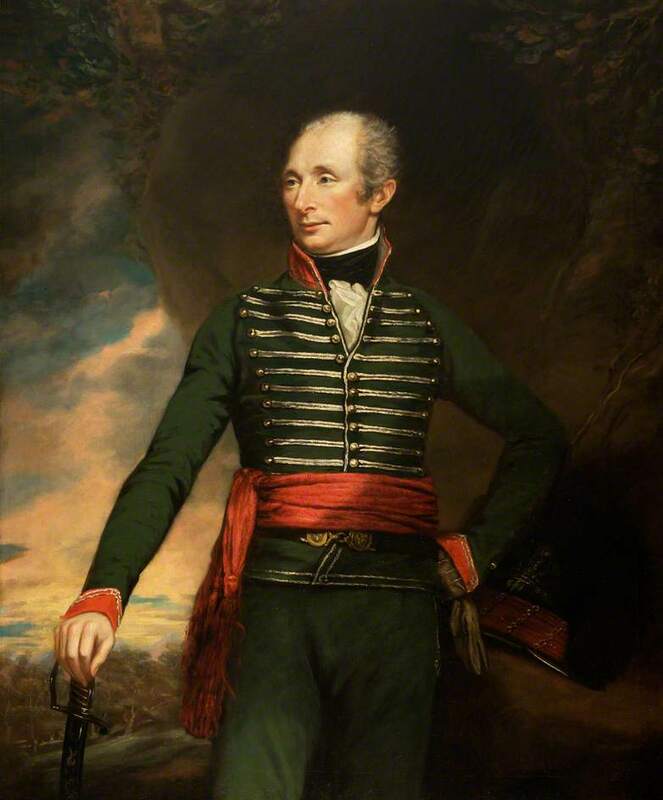 In the Spring of 1798 Secretary at War William Windham admitted to a Parliamentary Select Committee examining army clothing costs, that at midsummer, when the old militia regiments were due for re-clothing, a full outfit would also have to be ordered for the embodied supplementary militia. A couple of jackets devised for Lancashire Supplementary battalions in 1798 are shown in this post. During the Great War against France, the auxiliary forces of this nation were sanctioned by a constant flurry of legislation, often conflicting, that created or augmented militia, supplementary militia, local militia, fencibles, volunteers, armed associations, yeomanry and provisional cavalry, not to mention the army of the reserve and a proposed levée en masse. Of these the Provisional Cavalry must rank among the least successful. 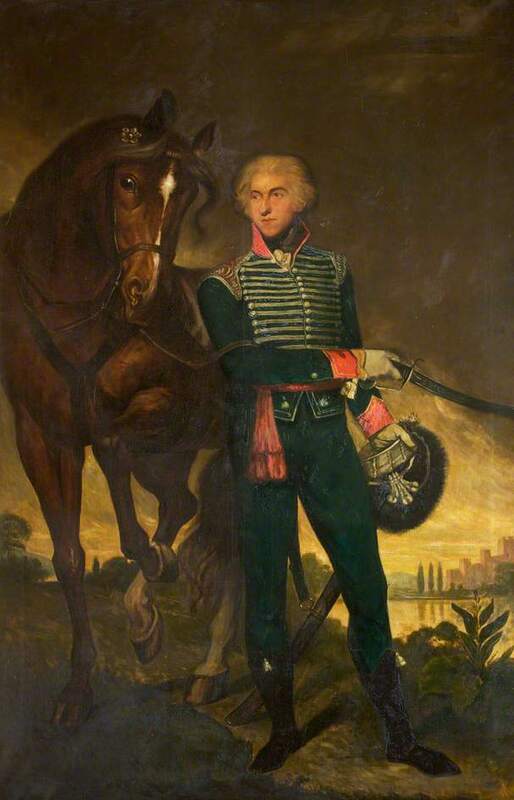 Under the Provisional Cavalry Act of 1796 anyone who owned ten or more horses was required to provide one man on a horse for the county’s regiment; those owning fewer were grouped to the same purpose. Not surprisingly this measure proved less than hugely popular, and the following year an exemption was granted to any county whose yeomanry cavalry had reached three quarters of its provisional cavalry quota. 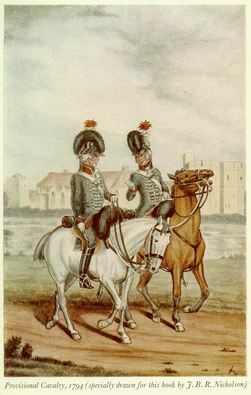 Given the popularity of yeomanry service among the rural squirearchy and their farmers, and the exemption granted to volunteers from the provisional cavalry levy, in many counties the provisional cavalry was never embodied or soon disbanded. For the dress of officers, we have, naturally, a little more evidence, though details here must have been shaped by the preferences of the wearer and his tailor. In the Welch and Stalker tailor’s book at the Victoria and Albert are patterns for officers of the Dorset and North Devon regiments. The drawing for the former can be seen here on Ben Townsend’s site. A distinct regimental variation “as made for Coll. Williams & the Earl of Strafford”, this jacket of “S[uper] fine Boteille Green Cloth” is edged and trimmed in silver cord, with plated chain epaulets. There will be other examples that I’m not aware of, but the few shown here should be enough to dispel any misconception that the Provisional Cavalry was either non-uniformed or heterogeneous, no matter how misconceived it may have been as a military initiative.